IR-204E is a popular 4–wire version of the IR-203E. IR-204E can be mounted to a single gang ‘gem’ box, or surface mounted directly to the finished wall using wall plugs. 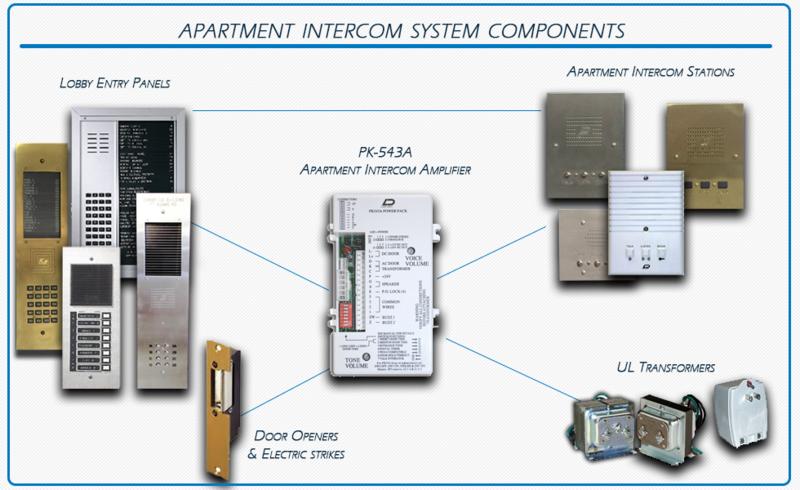 IR-204E is our most popular station for buildings with new wiring! Contemporary styling, featuring fog white color and pleasing lines, compliments most decors. Advanced circuitry and simple pushbutton operation make this the perfect station for use in large or small buildings. 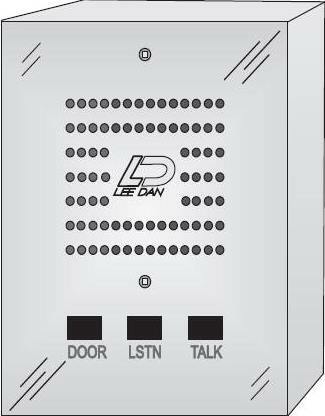 The visitor, by pressing the appropriate button on the entrance panel, causes an electronic tone signal to be heard at the ‘IR’ (Inside Remote) station. 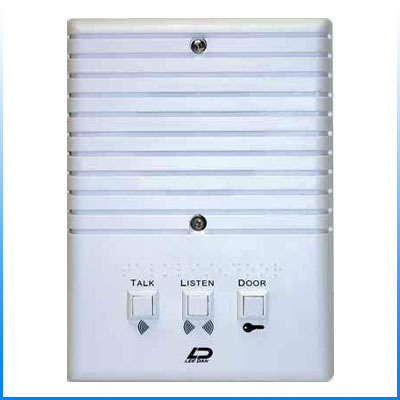 The resident responds by pushing the TALK button while speaking to the caller, the LISTEN button while waiting for a reply, and the DOOR button to allow entry to the building. Size: 6 7/8"H, 5"W, 2"D. Projects only 2" from mounting surface. 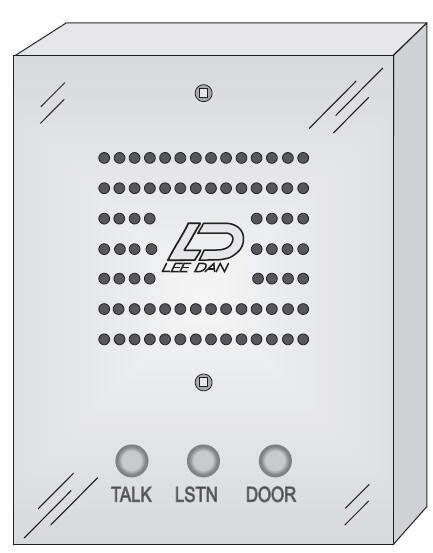 Controls: Talk, Listen and Door Release buttons with self-wiping, plated contacts. Finish: High impact ABS plastic. Holes: 2 mounting holes, fit standard flush 1-gang electrical boxes (not included). Screws: Includes 2 scrulox SC-1 tamper resistant mounting screws. Speaker: 2 1/2", .3 Watt, 45 Ohm. Heavy duty magnet with natural voice reproduction. Also used for tone signal from lobby panel. Color: Fog white, with black imprinting. 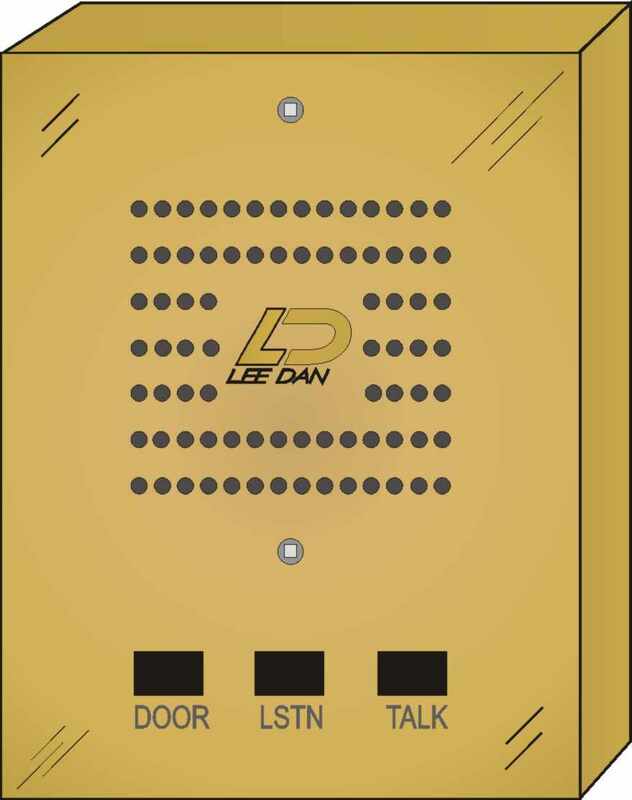 Amplifier: Use Lee Dan model PK-543A. It is always advisable to run spares! 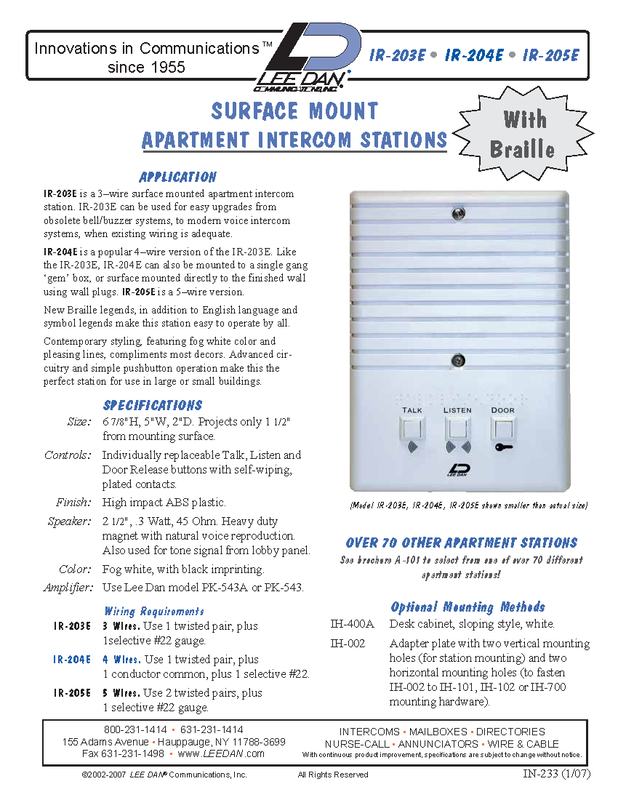 Request brochure A-101 to select from one of over 70 different apartment stations! IH-400A Desk cabinet, sloping style, white. IH-002 Adapter plate with two vertical mounting holes (for station mounting) and two horizontal mounting holes (to fasten IH-002 to IH-101, IH-101B, IH-103 or IH-700 mounting hardware).